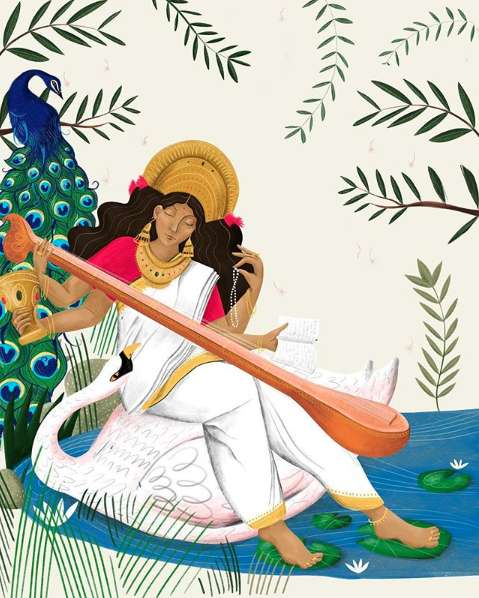 The dreeeeamiest pre India private commission to illustrate the Hindu goddess Saraswati – the goddess of knowledge, music, art and wisdom, as a gift for baby Indra and her bedroom wall. 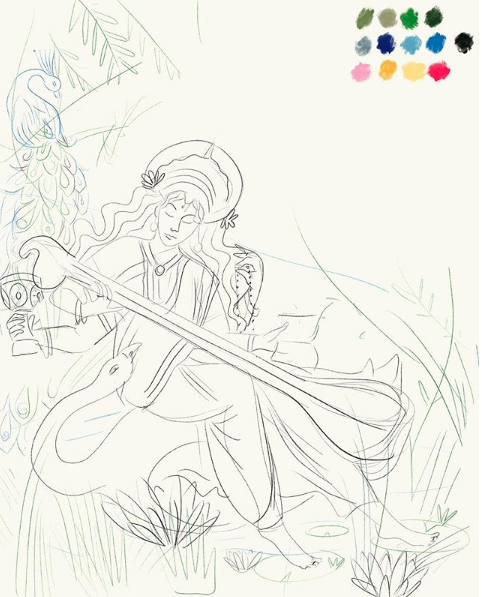 I’ve saw Saraswati everywhere here in India and out of all the goddesses she’s definitely one to look up to! 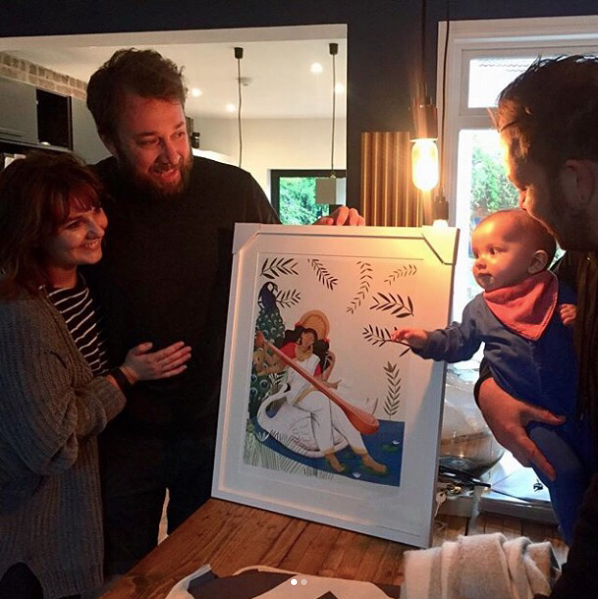 And thank you for allowing to Tom, Dave and Amy for allowing me to share for this INCREDIBLE and most candid picture ( 😂) of the illustration all beautifully framed ready to go on baby Indra’s wall! I am taking her gesturing hand as a sign that she absolutely loves it of course and is already feeling fully inspired ✏ 🇮🇳 📖 🎶 🎨 🙏. I do occasionally take on bespoke commissions like this – drop me an email if you have something in mind! Initial sketch with colour palette sent for approval.